Everything seemed to be at the far marsh edge this day. At least it was when we first arrived. 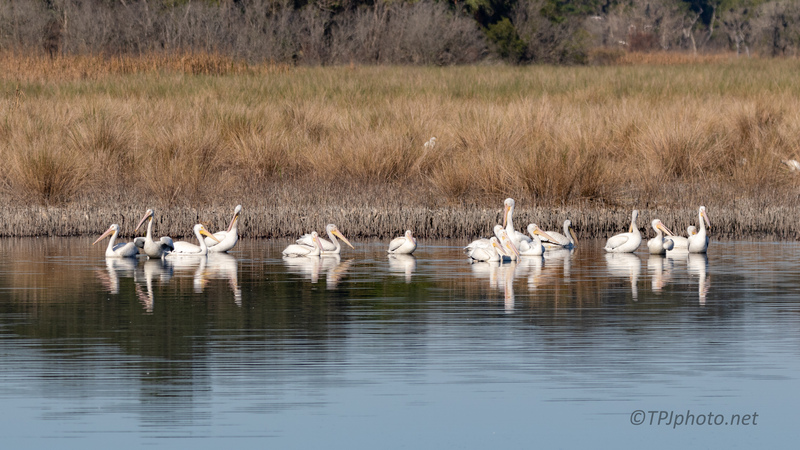 White Pelicans were still sitting around from the previous night. Big flocks had flown overhead as I was coming in from the woods so I assumed they were gone. Nor so, and I later got several nice photographs. A little further down was the usual suspects and chaos. Above you can see most all the marsh birds in one place. 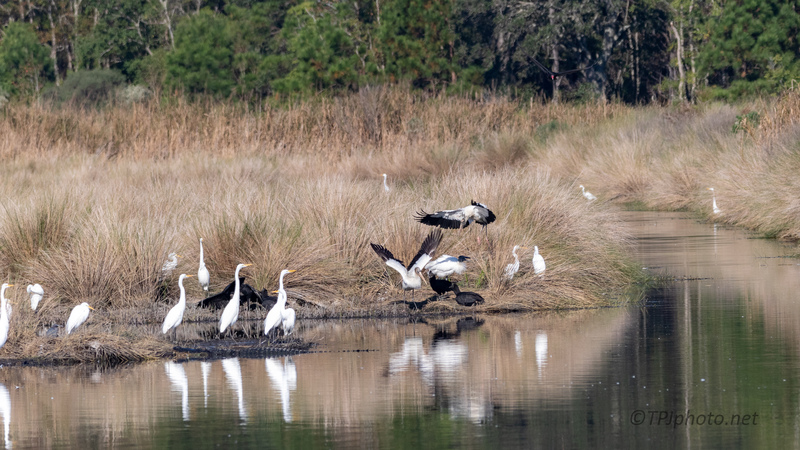 Look close and there is an Alligator sleeping right in front of the 3 tall Great Egrets. The very black birds above are Black Vultures. Seeing this activity first thing means there will be some productive work for the day. At the very least some shots as they fly away.